I’ve had this post in mind for awhile, inspired by the Jean Paul Gaultier’s fashion exhibit I saw last spring. He had a crazy exageratted version of the hat done in a very couture fabric. 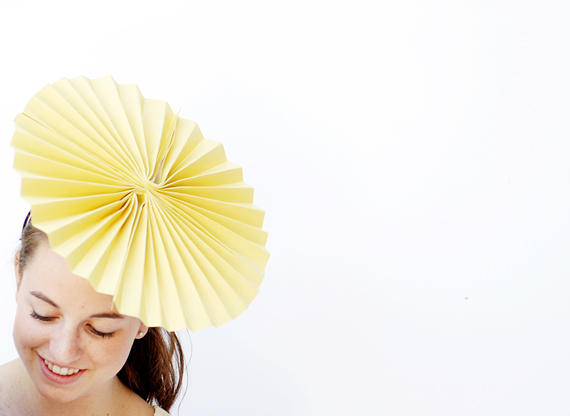 I immediately gasped at the beauty and simplicity, knowing the hat would look splendid done in paper. As life goes… five months later, I finally got around to making them for a friend’s birthday. The hats came out so pretty and the concept reminds me of something the cast of Downton Abbey would wear to a ball. 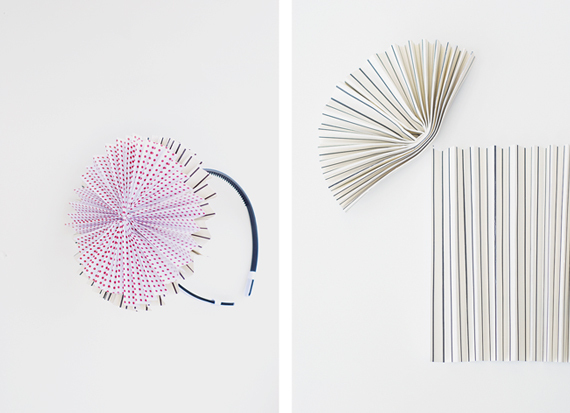 Make them for your next birthday and watch with joy as guests willingly wear them, no arm twisting needed. 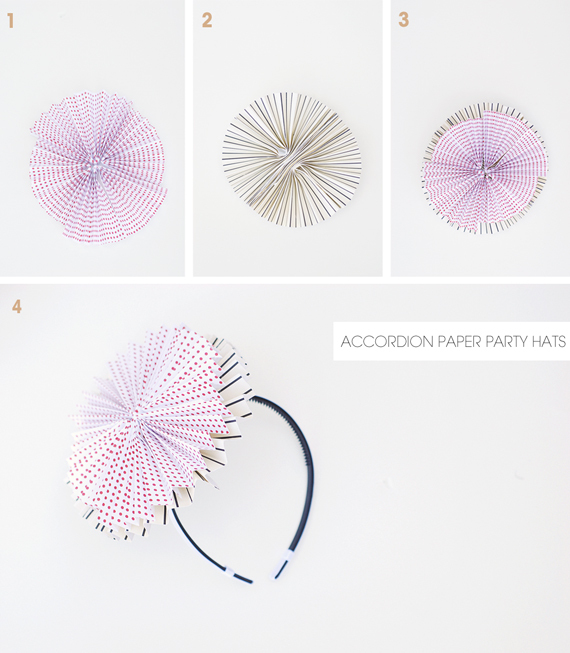 Make the accordion party hats; begin by gathering 12×12 pieces of scrapbook paper. You will need two pieces to make either hat. 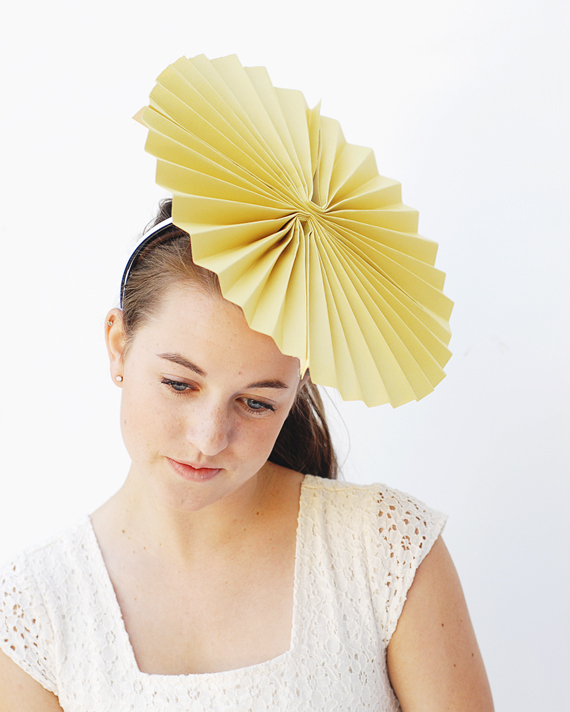 For the stacked hat begin by cutting your bottom piece in half and your top piece in fourths. The large hat uses two full sheets. 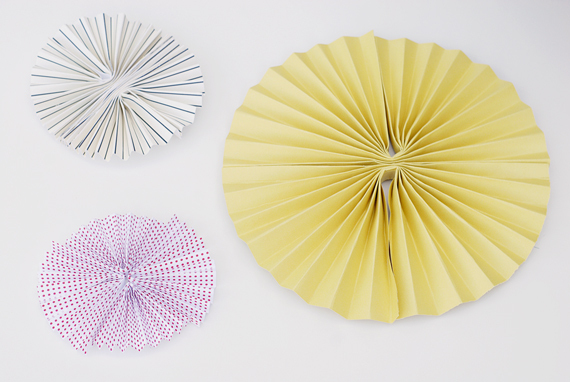 Accordion fold the paper across horizontally and use a glue gun to connect the pieces together, then fan out into shape. 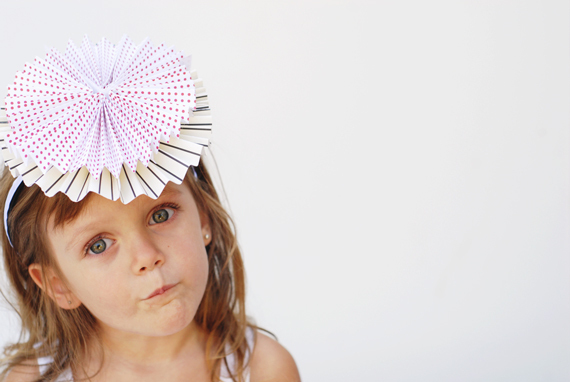 Hot glue the paper accordion onto a headband (use two headbands to hold the weight of the larger hat). It’s that simple and they are seriously too cute! Thanks to my little girl and Audrey for modeling the hats! PS. Big accordion wall decorations and more festive party hats here. Those are so sweet!! 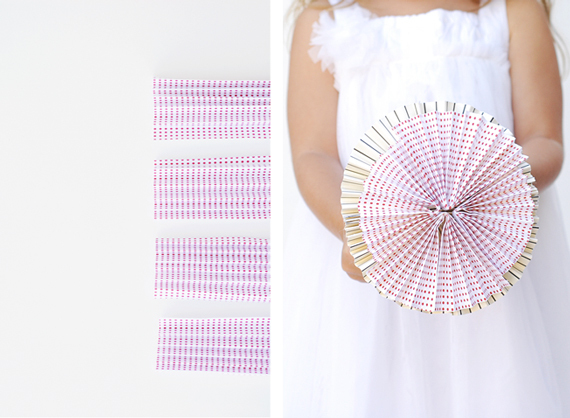 Love projects that are totally doable with things you have around the house already. My little sisters would love these. 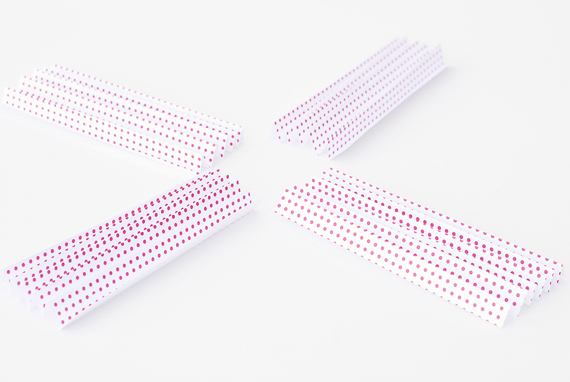 These are just so much fun! 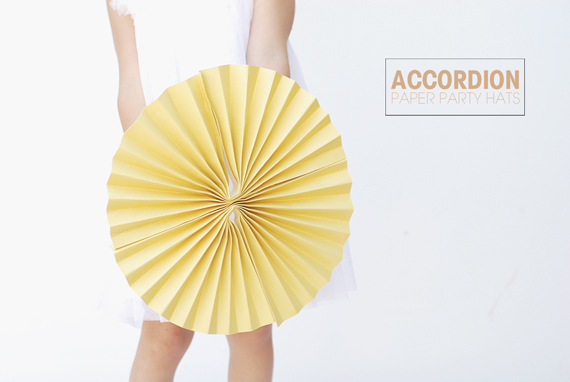 Love how you layered one on top of the other using different pattern paper. Such a great idea! Thanks! Super cute idea and so chic! such a great idea! 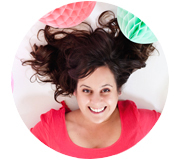 this would be a great tutorial to publish on the online magazine http://www.amazine.com!! 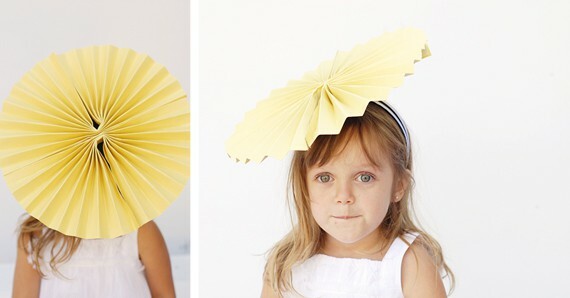 Those are, quite honestly, the most adorable party hats I have ever seen.